A bouquet of dried flowers filled with sunshine! Welcome to Aquarelle's new range of dried flower bouquets you can enjoy all year round... Opt for this stylish creation of dried flowers for naturally stylish touch of vintage charm. 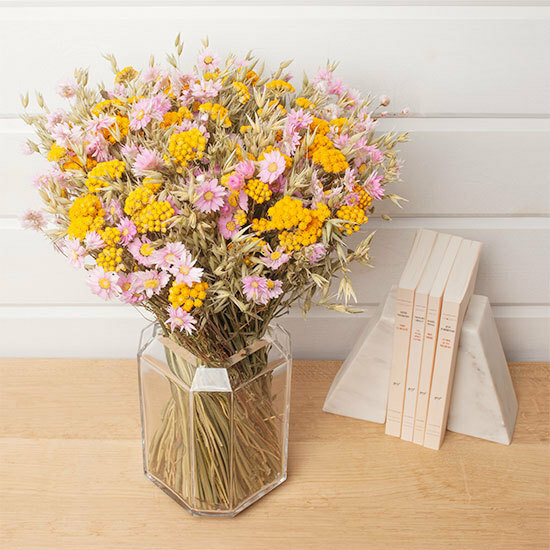 We're sure you'll love the simplicity of these pink rodanthemums combined with pretty iona and stems of oat for a beautifully bright, long-lasting indoor decoration. Do not place the stems in water as the bouquet should be kept dry. To keep the colours bright, avoid exposing the flowers to direct sunlight. 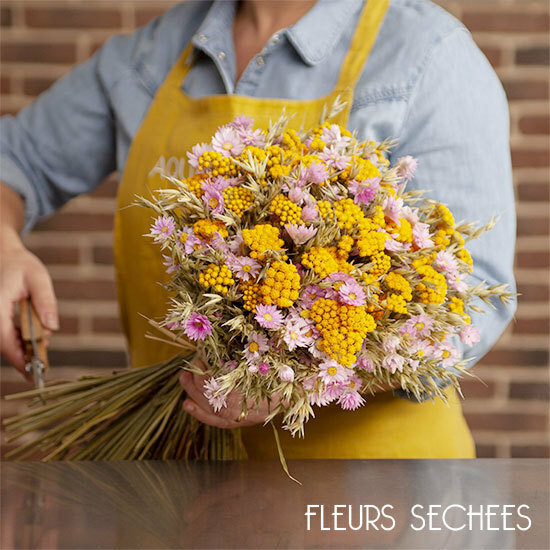 Dried flowers require very little maintenance, but they can be dusted occasionally using a hair drier on a low, cool setting. NB: Dried flowers should always be handled head downwards.